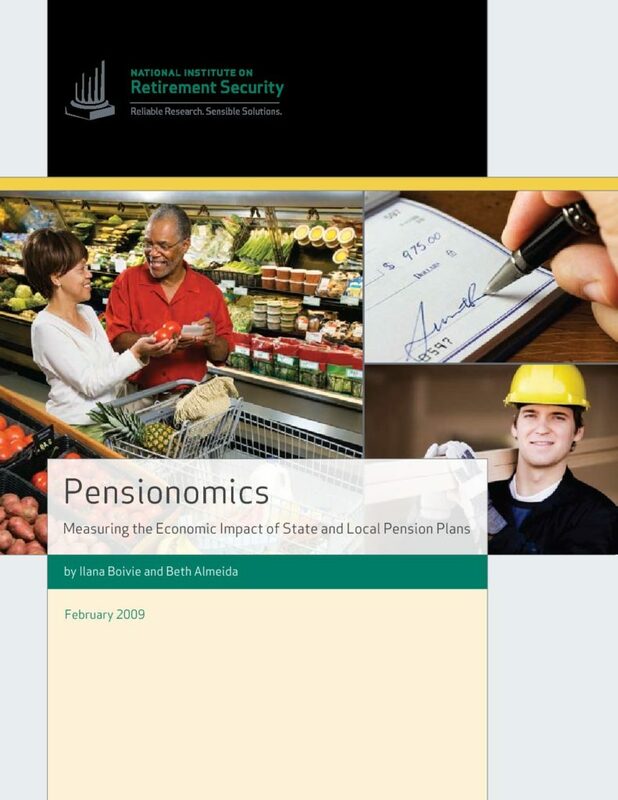 A new national economic impact study finds that the benefits provided by state and local government pension plans have a significant economic footprint: 2.5 million American jobs and $358 billion in economic impact. 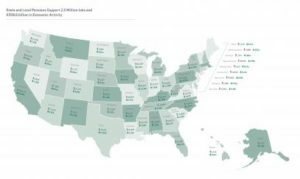 The analysis finds that the benefits provided by state and local government pension plans have a sizable impact that ripples through every state and industry across the nation. Full Report here. Report PowerPoint here.State Fact Sheets/Map here. State Press Releases here. Had a total economic impact of more than $358 billion. Supported more than 2.5 million American jobs that paid more than $92 billion in total compensation to American workers. Supported more than $57 billion in annual federal, state, local tax revenue. Had large multiplier effects. Each taxpayer dollar invested in state and local pensions supported $11.45 in total economic activity, while each dollar paid out in benefits supported $2.36 in economic activity. Had the largest impact on the manufacturing, health care, finance, retail trade, and accommodation and food service sectors. Paid $151.7 billion in pension benefits to 7.3 million retirees and beneficiaries. The report also analyzes the economic impact of public pensions in all 50 states.